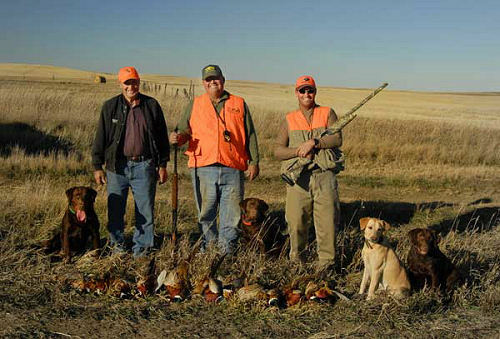 Family pheasant hunt in southwestern North Dakota, October 2006." (L) to (R) Uncle Stanley Palczewski, cousin Dale Palczewski, and cousin Dave Wrolsted. Merganser's Lucy (Hacker daughter), and Merganser's Riva Ridge.